In the midst of all the hype surrounding travelling, travelling and then travelling some to see absolutely everything there is and more, very few people realise that they have seen so much of the world that they’ve forgotten to explore their own neighbourhood, the things nearest to them: their own country. One of those places, unknown to many (even if it’s well known by word of mouth) is the Balearic Archipelago. 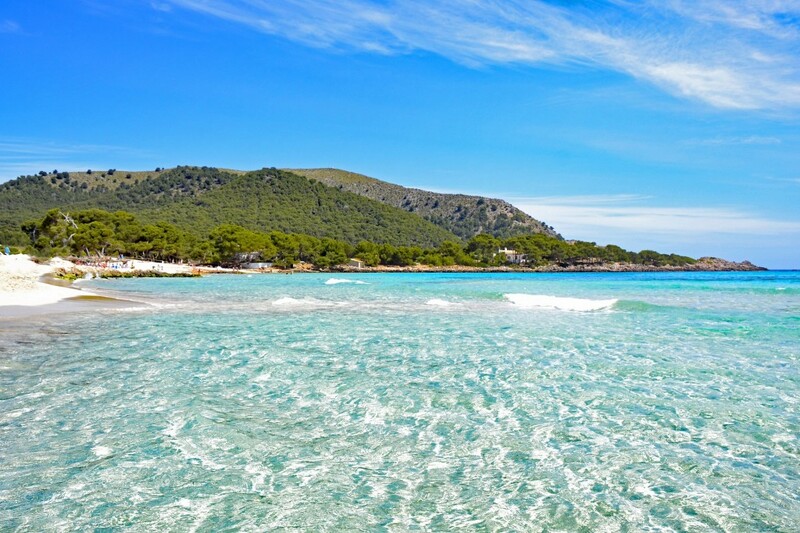 Gently rocked by the intensely, beautifully coloured turquoise Mediterranean Sea, the Balearic Islands are the perfect destination for an unforgettable and unbeatable summer holiday. In this region the large island Mallorca rules. Those who choose Mallorca can not only enjoy the magic of beaches like Muro, Ses Covetes and Cala Mondragó, they can also discover the beauty of the Tramuntana mountains. Mallorca is also a place where you can enjoy tourism in all its forms, whether you travel on your own, as a couple, with friends or with family since the island offers plenty of hotels that are designed for every kind of travel. Hotels that really do offer families everything they can possible ask for, and this at an excellent price to boot. Smaller, but just as large where spirit is concerned, is the island Menorca. This island (much more natural and authentic than its neighbours) has a certain maritime touch and is ‘little exploited’, which means visitors surrender themselves to its magic at the very first visit. The most famous places to visit? Ciutadella, Mahón and other special places such as Fornells. Known as the Pityusic Islands, Ibiza and Formentera are a totally different case. Two islands with a common language but a completely different accent and a more natural, unique way of life – more hippie-style. Ibiza might be the perfect place to enjoy an intense nightlife, but Formentera is an ideal destination if you want to fall in love with beaches and intensely blue waters. Where to stay on the Balearic Islands? As we stated previously, out of the four islands Mallorca is the island best suited to those who enjoy travelling as a family. It’s an island where you can enjoy long walks by the sea, dozens of attractions and – of course – guaranteed rest in perfect, family-friendly hotels. Our recommendation? That would be the Green Garden Aparthotel, a hotel surrounded by gardens located on the beautiful beach Cala Agulla. Part of the innate magic that makes us all fall in love with the Balearic Islands is to be found on the white island, Ibiza, a destination where you can find hotels such as Tropic Garden Aparthotel where you can enjoy a really relaxing holiday. For those who prefer the maritime spirit of Menorca there’s nothing better than heading towards the area Cala d’en Bosch to stay in a hotel like Marinda Garden Aparthotel. Apart from a perfect breakfast buffet, this family hotel also offers free wifi and mini golf.